Well, the man certainly isn’t boring. The problem is, the full transcript of that speech revealed that the above quote was taken out of context, and that Obama was actually arguing against that very thought. When tweeters told him the clip was fake, Leach didn’t concede. And when it eventually was proven, he removed the video from his feed, admitted it was “incomplete” — but still encouraged a discussion on the power of government. Perhaps this story would have disappeared by Monday afternoon had Leach apologized in some capacity. He didn’t. 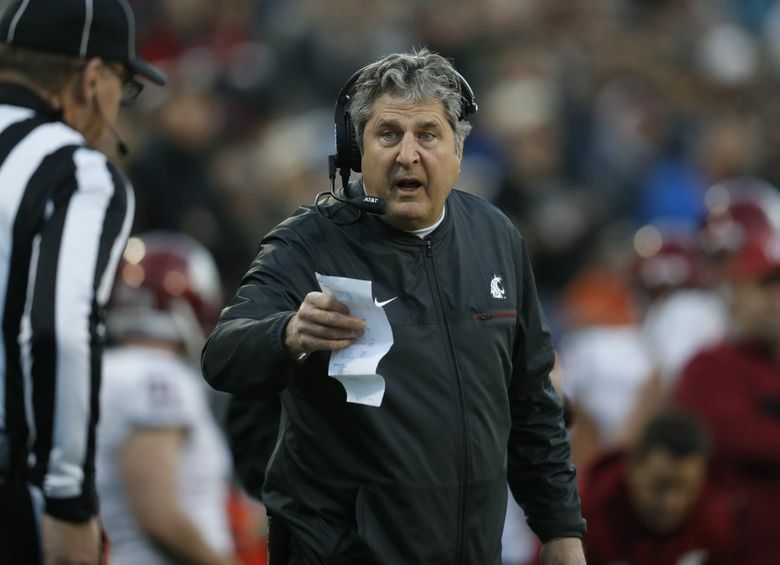 What ensued was a piece by USA Today sports columnist Dan Wolken, who argued that such unpredictability was why bigger schools stayed clear of Leach despite his success at Texas Tech and Washington State. Leach responded with a tweet blasting Wolken (whom I respect) as a journalist “no one knows” while challenging him to a debate. Wednesday night, I sent Leach a text in hopes of discussing the Wolken column, the Twitter firestorm he created, what he might have done differently and whether he had regrets. The next day, we covered all that and more as Leach spent nearly 30 minutes answering questions in a way only he would. Here’s the phone conversation in full. Love him or hate him, this is quintessential Leach. Matt Calkins: What was your reaction to Dan Wolken writing about you, as well as your reaction to this Twitter firestorm as a whole? Wolken: So that’s what he said, that I’ll be selling Big Gulps? Wolken: I guess we’ll see about that. Calkins: Do you mean a little less bias? Leach: Yeah, they expect less bias because I think he’s 100 percent biased. Anyway, I think he does a horrible job and doesn’t know what he’s talking about. It doesn’t matter what anybody says, he’s just gonna distort the thing. He’ll probably be selling Big Gulps here in a couple years. I don’t know. As I think about it, I ought to let all that take its course. Calkins: Who did you talk to about Dan (a sixth-year USA Today veteran whose response can be found here)? You said people don’t respect him; is that something someone just told you? Leach: I just randomly … we’ve already talked about that guy more than he deserves. But I don’t know, maybe you know him, maybe you like him a lot. You might have gone to high school together. Maybe you had slumber parties as children and watched superhero films. I don’t know, but that’s my general impression. And his work certainly measures up to some of those unlofty expectations. Calkins: What would you want to debate him about? Leach: It wouldn’t matter. I could care less, really. It’s funny because in journalism soon, if they want everything to be just so and in some controlled frame or philosophy, soon there won’t be anything to write about. You just go ahead and print the last article you had and that should cover you for 20 years, which would be pretty good except you’d only need about 20 journalists. Leach: I think there’s bias on both sides. I think there’s right bias, too. And to be honest with you, I think the better way to frame it perhaps is establishment bias. You got the guys on the right, you don’t agree with us and you’re against us, and you say anything and no, it’s gotta be exactly like this. With guys on the left the same thing. Well, somewhere in the middle you have a group that says this is all screwed up. You’re not just framed within these little categories, and any thought and idea you might have — go ahead and offer it up and feel free to. But you know, discuss and exchange ideas and then you get the opportunity to learn something, maybe they learn something, and at least you open your mind to a variety of things. And I think both the left and right are somewhat against that. I don’t think that approach is very healthy … and it’s particularly unhealthy in journalism. You guys thrive on “this side, that side, this side, this happened, the other thing happened, well this person said this” so rather than just being a hit squad on some sides you don’t like, if more ideas and more things are spawned you spawn more material. Leach: I agree with everything you’re saying. Keep rolling. Calkins: Well, when you initially tweeted that Obama video, is that what you were trying to accomplish — to say, “Hey, let’s get some more free thought out there? Let’s have a discussion.” What was your intent behind that tweet? Leach: First of all, what you have right now is a contrast of political philosophy going on, so it’s kind of a fascinating time from that standpoint. You’ve got the Trump side that’s discussed in some sort of fashion, fair or unfair, on TV every day. And then you got the Obama side. What I was looking for … and I didn’t select a very good video, I just wanted something to quickly summarize this political approach and just get thoughts from people. Because the one thing in that entire thing — I never offered an opinion on any of it. If you look at it, I didn’t offer an opinion. I just said “listen to this and let’s hear what you think.” What I hoped for was just a variety of ideas and opinions to come out. Well, shortly after that, that was overrun by maybe someone saying something really hateful, not necessarily about me but perhaps, and then you’d look and they’d have three followers. I don’t even think that’s really an account. Is that really an account? I mean, maybe it is, or maybe it’s just some PR, politically-driven vehicle that continues to try to push the agenda — and as I mentioned, that exists on both sides. So, it really wasn’t that. It evolved into this series of name-calling, but I still think the question is valid regardless. “What do you think of this?” Well, that’s a valid question no matter how you slice it. Well, then after about nine of those, somebody sent the speech in its entirety. And it wasn’t a speech that was as on point for what I was hoping for anyway. And so then, the statements in the speech are far enough separated that I do feel like it was taken out of context. I thought the context was too broad and not accurate enough that I pulled it off (removed the video). But that doesn’t change the fact that I was asking, “Why aren’t we talking about the contrast with where we are in regard to our political philosophy?” But in the end it all ended up being a waste of time. Calkins: So you said that you realized the video was “incomplete,” but I think a lot of people were wondering why didn’t you just say, “Oops, I’m sorry, I made a mistake. I posted a heavily edited video, sorry about that, I didn’t mean to mislead anybody.” Do you understand why people might want to hear that from you? And why didn’t you say that? Calkins: No, I don’t. I think they would still probably criticize you. But I also think it would be the right thing to do for someone in your position. Leach: Well, for one, I’m not particularly sorry. I thought (the video selection) was poor from the standpoint that … and anytime you quote a guy it’s difficult because there’s always a broader context to any conversation. I didn’t think the context to that was as precise as I wanted it to be, so from that standpoint I thought it was sloppy. I’m not particularly sorry about it, because it was in his speech and he did say it. I just think it was plugged together in a bad way by whoever made the video. You get passed things all the time. It’s not like I researched or looked it up. I just listened to what was sent and was like, “Oh yeah, this might work.” But that doesn’t change the fact that people should be able express their thoughts. I just don’t understand all this name-calling. I never took a position on any of it. You look at anyone of them, I didn’t take a position at any point. Calkins: I agree. But I think what people see is that you’re an open Trump supporter — which is fine — but they see an open Trump supporter posting a video of Obama that they don’t think makes Obama look very good. So by that logic, they think you are taking a position. Calkins: They can just say what? Leach: They can just say whatever their thoughts might be on the subject. I mean, because the gamut on what their thoughts might be could be a lot of things. But instead, it’s this whole label game. There’s the assumption that I’m in favor of this, this and this — none of which I said. They’re putting words, whether it’s in my mouth or someone else’s mouth that tweets in. No, it’s “what is your position, what do you see as a problem, and how do you fix it?” And if you address those three things, it’s probably a pretty good answer. It might not be a correct answer, but it’s a pretty good answer. And whatever the person may be, it’s their answer, and from there you go, “OK, I don’t agree with that, but I agree with this.” Well, then all of a sudden you start to purge the bad ideas, elevate the good ones and then everybody learns something from it. But that’s not what happened there. Leach: Washington State is great. I’m completely happy at Washington State. We have great Cougs, great fans, a great president and A.D. — all those people are great. Calkins: Sure, but do you think there is something to Wolken’s point that athletic departments from bigger schools stay away from you because they’re not sure what you’re going to say or do? Leach: That’s difficult to say. To be perfectly honest, I’ve been fortunate enough to have my jobs for quite a long time at both places (Texas Tech and WSU) — at least longer than presidents and athletic directors a lot of times do. It’s difficult for me to say. I’d be guessing. It depends who. Bill Moos didn’t hesitate, nor did Elson Floyd. It just sort of depends who I suppose, but let me just say this — they’re certainly not influenced by idiots like “Walken,” I can’t remember his first name, and I know it’s not Christopher, but they certainly don’t care what he thinks. Calkins: Do you think as a head coach you should be able to wade into politics anytime you want? Leach: Yeah, as a citizen of the U.S., I think you should, but I think you need to be sensitive to others. But from a team standpoint, I respect all their opinions and I like to think they respect mine. Calkins: Yeah, you and Gabe Marks — I don’t think you guys agreed at all politically, but it seemed like you guys had a great relationship and could talk about anything, right? Leach: Yeah, no question. And Gabe is fantastic that way. And to be perfectly honest, Gabe understands that. Let’s talk about this, let’s sort it out and let’s see what we can learn from this. I’ve learned things from Gabe, and I’d like to think, well I know, Gabe has learned some things on route-running from me. At least I’m on the board on something. Leach: Well if you do, then the entire point that anybody has made about me, you’re guilty of. It’s pretty hard to be on top of the mountain saying here’s what the sins are while still committing them themselves, although that happens all the time. 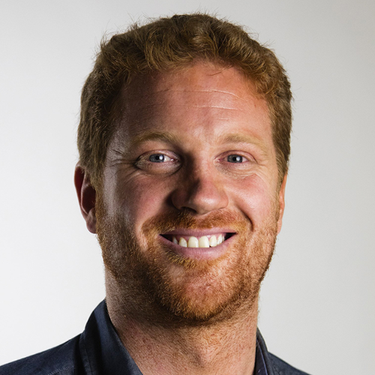 Calkins: I guess what I’m saying is that people are going to say is “Mike Leach doubled down. He didn’t apologize. He’s saying this journalist is going to be selling Big Gulps.” They’re going to say you’re not contrite about anything and are this total wild card. What would your response to that be? Leach: I didn’t double down on anything. First of all, I never took a position on what that video said. I never took a position on what that video said when I thought it was an imprecise summation of Obama’s political philosophy. I took it down. With that said, rather than name-calling, I’d rather see thoughts and discussion. What do you see the problem as? How do you solve it? And what’s your opinion on how to do it? That’s what a good response is. All this business of all the little categories people call themselves on both the right and the left, it doesn’t really solve much. Calkins: Yeah, but you did say that a writer is going to be selling Big Gulps soon. Isn’t that name-calling? Leach: Well, I don’t mind that. I’m referring to Dan Wolken. I have no problem having a conflict with him. Calkins: Last thing: Would you have done anything differently, starting with Sunday night? Would you have picked a better video, or maybe have done nothing at all? Leach: Well, for one, I wouldn’t worry about it very much just because that’s what Twitter is in general. But the other thing is that I think the subject is too broad to effectively engage it on something like Twitter. You know, I think a lot of my resistance on there is people that have something like three followers. And then, I probably wouldn’t have tried to have a discussion that way because, well first of all, what’s appealing about Twitter is that there’s a variety of people so you get a lot of diverse ideas, so that was the initial appeal. And I think the other appeal was that it wasn’t necessarily football-specific. But I think it was too broad to summarize. I think it’s very difficult to summarize Obama’s position and philosophy in a video. But with that understood, people take things out of context all the time and try to run with it. So every sin I’ve been accused of with regards to that video, as soon as you write your article there will be plenty of people guilty of virtually everything they’ve accused me of. Hopefully you’re not one of them. But the thing is that you can’t discuss anything unless there’s some weird thought-control deal and some kind of groupthink and we all have to think the same. That’s not an effective approach.